The Cloud Niners Concentrate is a mono-arome, proposing a wide range of flavours, ideal for those who wish to confection their DIY E Liquids of great quality. Invenbted by the Malaysians at Vape Sauce, each Cloud Niners offers you excellent fruity aromas,soft and acidic. The tropical flavours of the Cloud Niners Concentrates will make you want to travel. Make the most of a juicy Mango with the Cloud Niner's Concentrate. Very Sweet ! Refresh yourself with a good Pina Colada Cocktail, with the Cloud Niners Concentrate ! Discover the Cloud Niners Concentrate with this very sweet Pineapple. 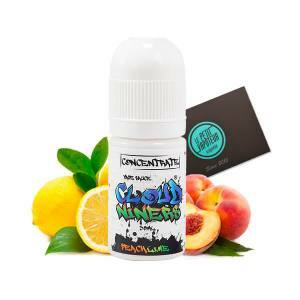 The Cloud Niners concentrate offers delicious hand picked Strawberry Aromas. 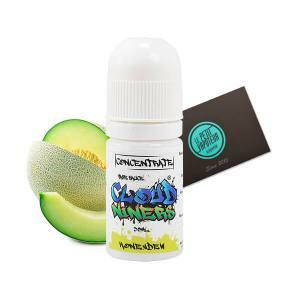 Prepare yourself a real orange Juice with the Concentrate Cloud Niners. The Cloud Niners is a creation from the Malaysian team by Vape Sauce, a brand which is reputed for e liquids full of richness. The Cloud Niners Concentrate will help you confection your savoury DIY Liquids. Discover for example, the Cloud Niners Pina Colada, Blackcurrant, Mango Concentrate or even the Cloud Niners Pineapple. Conditioned in a 30ml bottle, the Cloud Niners Concentrate must be mixed in PG/VG Base and you can add one or more nicotine boosters if needed depending on your preference. The Cloud Niners will give you the impression of vaping a real squeezed fruit juice.